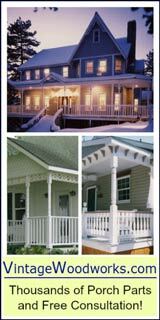 Our vinyl porch railing ideas for PVC porch railings often offer the best in beauty and durability while making your life easier. 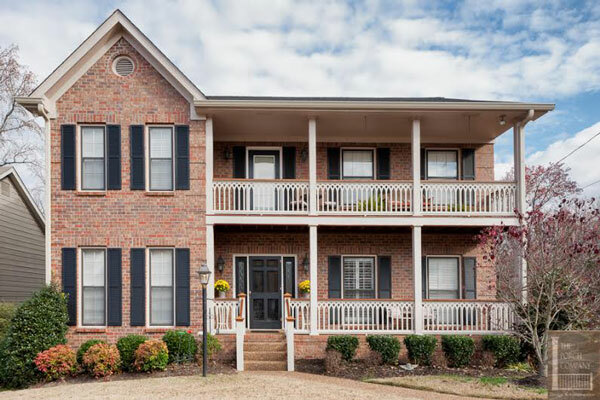 No more painting or replacing broken wooden railing spindles. Please note that vinyl porch railings and PVC porch railings are not the same. What we are speaking of here is high quality solid cellular PVC railings - low maintenance and resembles the look of painted wood. 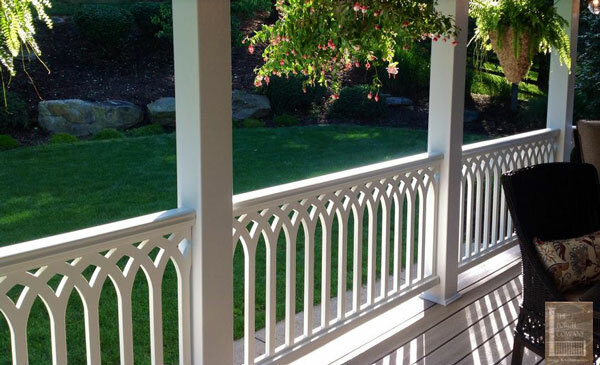 These PVC porch railings come in a wide variety of styles that you cannot find anywhere else (or at least not that we've discovered). 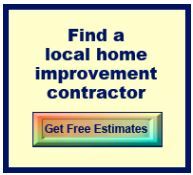 In fact, you can create your own custom design with The Porch Company. Now that is pretty wonderful. 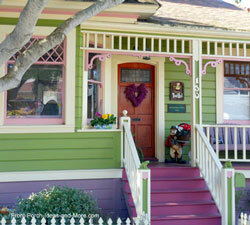 Just imagine not needing to paint your porch railings! 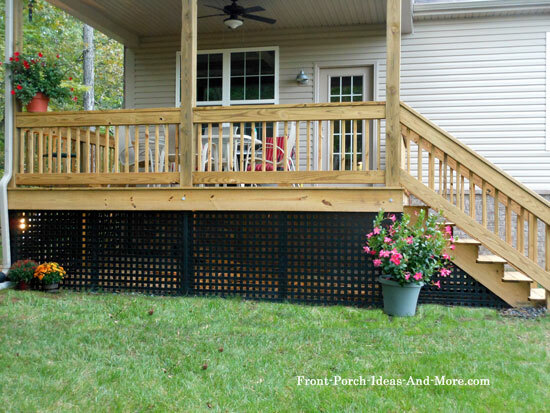 With PVC railings, your porch is not only lovely but you have more time for enjoying your porch. Not all vinyl is made the same. While vinyl may appear flimsy and cheap, PVC is quite different quality-wise - nicer indeed! Without getting technical, vinyl materials can be enhanced to make them more durable, easier to cut, structurally strong, and more versatile for different types of uses. 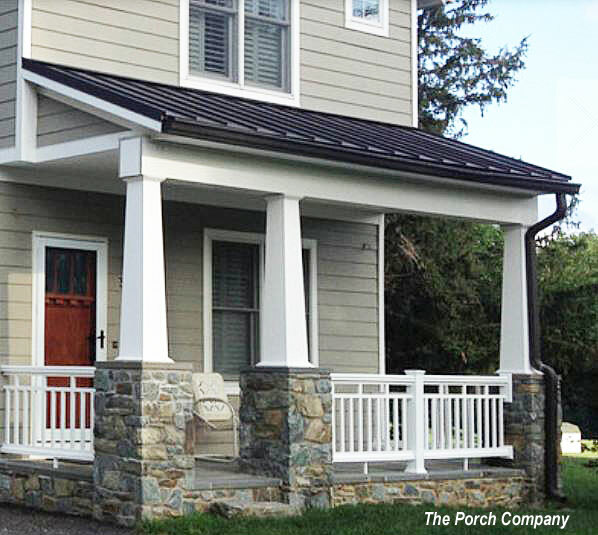 The Porch Company uses solid cellular PVC. 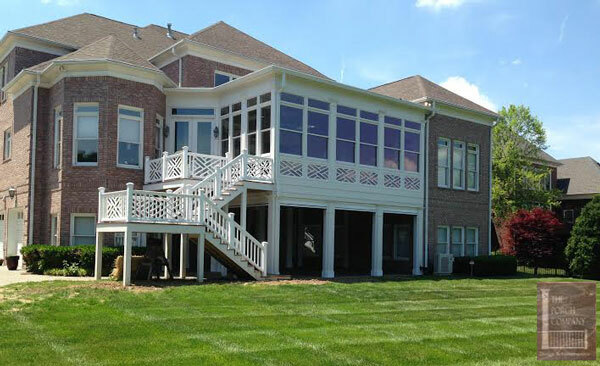 In addition, the properties of PVC allow you to create designs that otherwise would be nearly impossible to do with traditional wood or metal railing products. 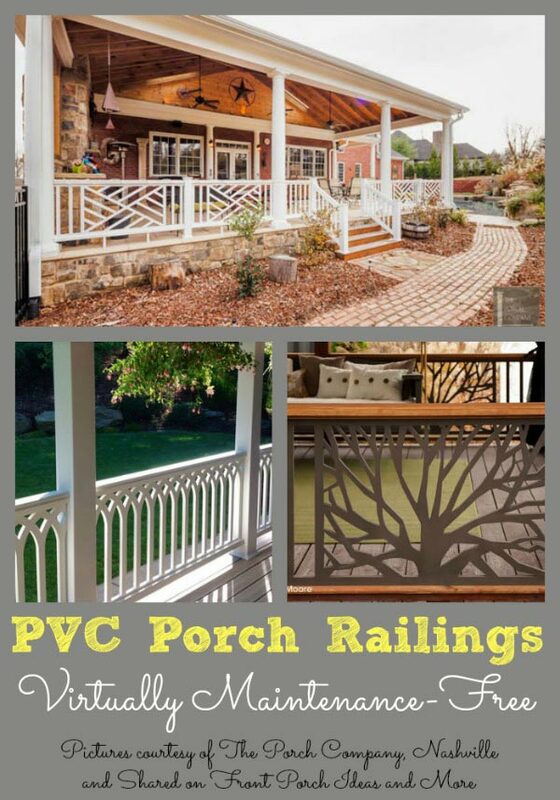 That makes PVC a perfect material to use for your porch or deck railings. 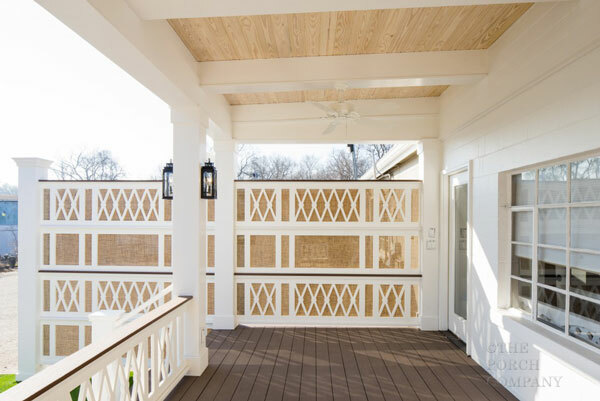 Add a little sophistication and elegance to your porch or deck by choosing just the right design to make a seamless transition. And it doesn't matter whether you have a large expanse or just a few feet upon which to make a statement. 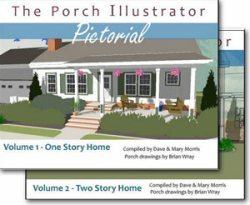 What makes a porch special? 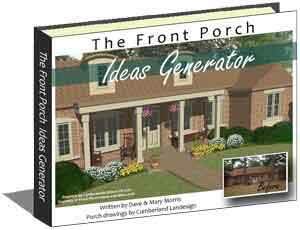 Mary and I believe it is the combination of each porch component although some components tend to have more impact than others. Perhaps the most visible; however, is the porch balustrade or railings. 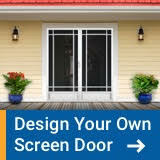 Change the design and you can change the entire look of the front of your home. Make it subtle and it will blend in; make it bold and your house takes on a persona all its own. 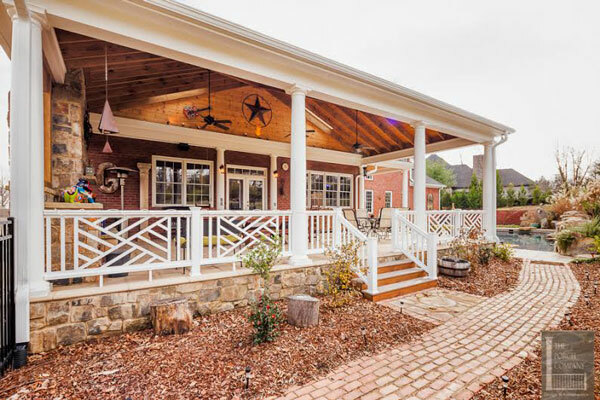 Create a little porch envy! 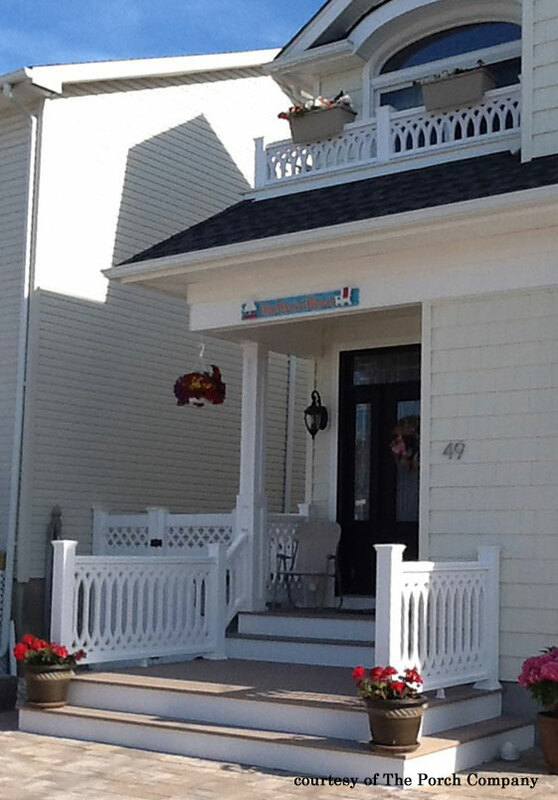 One of the most amazing features of using PVC porch railings is their variety of designs. 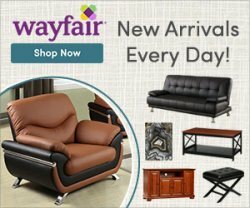 Whether you prefer traditional designs like Chippendale, country, or standard pickets, or would rather opt for something different here are a few choices. 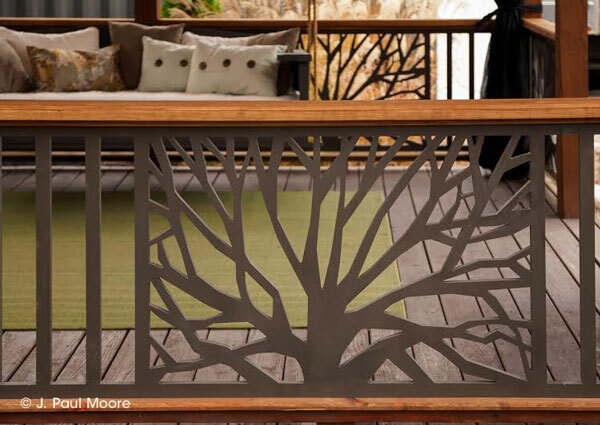 This design is code compliant and perfect for both porches and decks! Where feasible, you can use short panels to add both appeal, functionality, and even concealment. 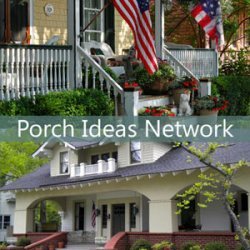 Mary and I are happy to recommend you visit our friends at The Porch Company's Porch Store where you'll find these and other fantastic products for your porch or deck! 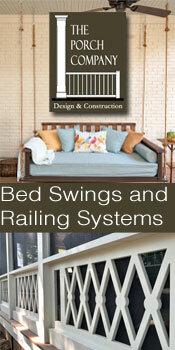 The Porch Company is one of our very fine sponsors. 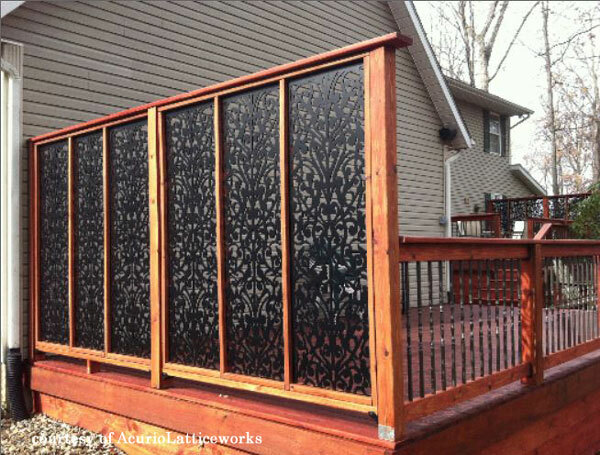 They have a gallery of photos giving you beautiful vinyl porch railing ideas.